Success is a term we use loosely. There are some people who spend their entire lives searching for success, but are unaware of what defines success. I haven’t met anyone who doesn’t want to be successful, but what defines success? I have heard so many people speak of success in terms of money or materialistic possessions. I believe success will take care of itself if we are able to develop successful practices. Forbes describes these practices in The Most Successful Leaders Do 15 Things Automatically, Everyday. I believe success is greater than the money or material items one can possess, but I think those things will come with successful practices. However you may define success, if you do these three things you will discover how to enjoy your success. 1. Prepare. The most successful people on our planet prepare. It is not say that they will get it right every time, but they are prepared for the good and bad. Some people may consider successful people “lucky.” Successful people may even consider it luck. It was Lucius Annaeus Seneca that said, “Luck is a matter of preparation meeting opportunity.” Whether you consider success being “lucky” or not, if you prepare you will soon enjoy success. 2. Practice. With any sport, athletes have to practice to be the best. Leadership is no different. To improve your leadership skills, you have to discover ways of practicing what we desire to be. As leaders, we must practice making good decisions, communicating effectively, leading by example, etc. Our consistent practice of being a successful leader will lead form good successful habits. 3. Progress. Leaders prepare, practice, but more importantly they progress their leadership. When we are able to prepare and practice the right way, it naturally successfully positions our leadership. Preparation, practice, and progress will help you enjoy your success. Matter fact, you will discover unimaginable success with your leadership. 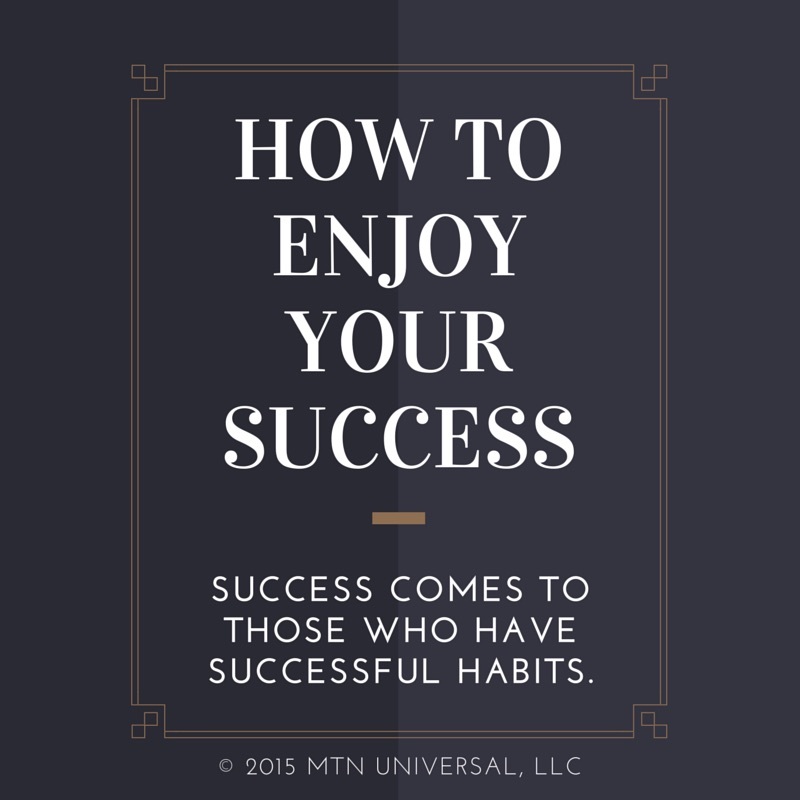 Question: How are you enjoying your success as a leader? Leave your comments below.